Best of British tailors offering a contemporary twist to the traditional scene. Iconic tailors, Mark Marengo, emulate the tradition of Savile Row and give it a contemporary and sustainable twist. As established returning clients, their admirable growth has taken them worldwide from London to Paris, and further afield as they are currently expanding and making their mark in China and the USA. Mark Marengo offer elegant bespoke suits and original accessories, and will use the money raised to develop their new made-to-measure service which you can sample through the reward offered. Mark Marengo is a brand based on his signature style of sharp-cut tailoring. Mark himself entered the fashion world as a tie designer, showcased worldwide. 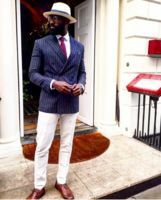 After expanding his label to include suits, shirts, and hand-made shoes, he opened several shops in London's West End and eventually consolidated them into one flagship store on Savile Row. 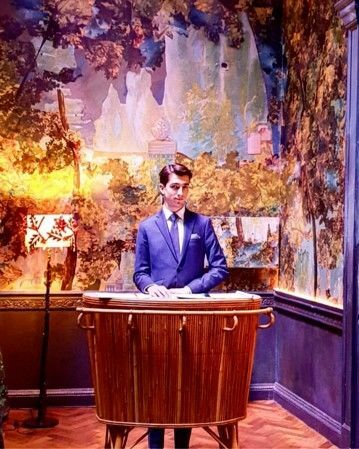 Now working predominately from their Moorgate showroom with a team of in-house tailors, Mark Marengo are expanding further into China following a successful collaboration with Harvey Nichols. All Mark Marengo garments are made with the highest quality materials from the UK and Italy from small, specialist workshops. We also put effort into ensuring all materials are made from natural fibres, ethically sourced and sustainable. Our wide prêt-à-porter collection includes half-canvas tailored suits, finely crafted cotton shirts, hand-made silk ties and leather shoes, and has won us the approval of influential people and organisations. For example, we have dressed A-list celebrities like Jamie Foxx, who wore one of our jackets to the Michael Jackson Memorial Concert, and have tailored for the iconic Sketch restaurant in London. We're also in talks to do the same for the luxurious Shangrila Group. The next step for Mark Marengo is to focus on the made-to-measure service while continuing to expand globally. This new service allows our clients to pick from hundreds of fabrics to tailor a bespoke suit, all fitted within 30 minutes. The price range starts at £699 and goes up to £3,000. On top of this, we're expanding this service to include made-to-measure shoes, using foot-scanning technology. This concept encapsulates speed and convenience, without compromising on quality and style. We will use the funds raised in this campaign to develop and refine this service, which we believe is the future for fashion retail. Q. Any reason why the campaign has been cut in two tranches only about half way through the raise? A. Hi Stephane, because we reached our initial target sooner than anticipated and want to use the funds fast to launch our new websites end February and the made to measure shoes.Its all about momentum. "Classic British tailoring with a twist"